Greece is home to white house’s minimalism, magical sunsets, amazingly delicious food, and friendly atmosphere. Cruising through the Greek islands is such a beautiful experience and a completely unique way of exploring versatile Greece. 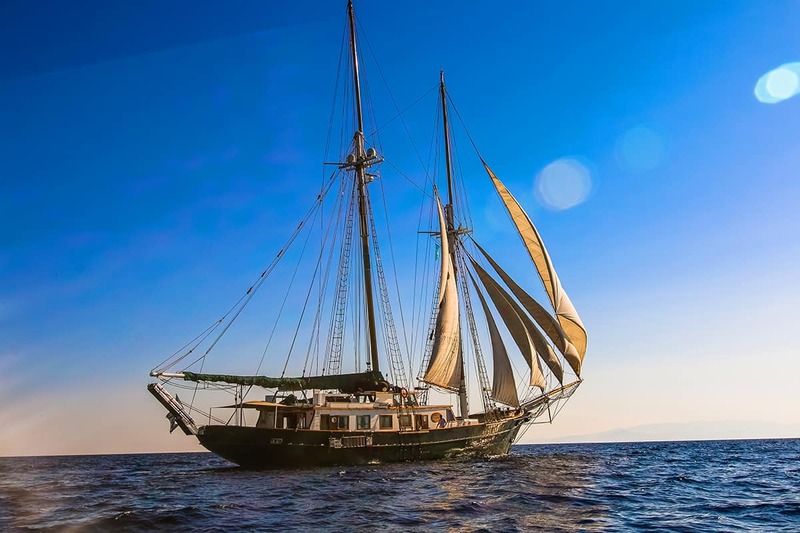 Any group can find something interesting for them since there, but for now, we are bringing you the list of best boats for charter in Greece that will take you one step closer to your dream holidays. Matina is traditional Greek motor sailor with real naval characteristics. With this boat, you can go from Athens to Ionian islands (Ithaca, Kalamos, Kastos, Kefalonia, Lefkada, Zakynthos) one-way route and explore so much that Greece has to offer. Matina is very special with undeniably high-quality materials and sailing performances so you can truly enjoy in real sailing experience. Exterior and interior are equally sophisticated and there are 8 cabins that can accommodate 20 guests. The dedicated crew on board will make sure you don’t miss a thing during your cruise. 41 meter Sir Winston Churchill with 6 cabins is Certified PADI yacht that offers real sailing experience and fabulous service on board. 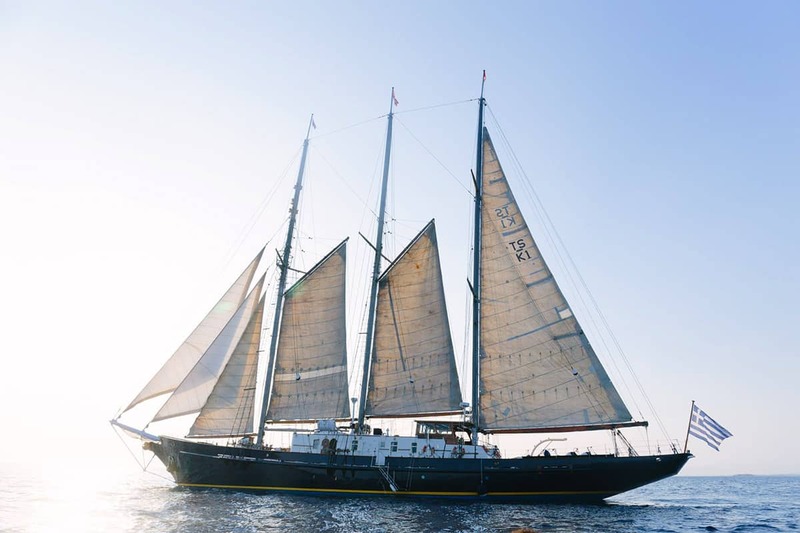 It was initially built for sail training for the British Navy and now is available for cruising in Greece. Important to mention is that this boat is ideal for a larger group because this is one of the largest vessels in the fleet suitable for a group of 12 guests. The crew on board will consist of experienced Captain, Chef, Stewardess and 3 Deckhands. They will go an extra mile to provide you with unforgettable holidays cruise experience on Greece. 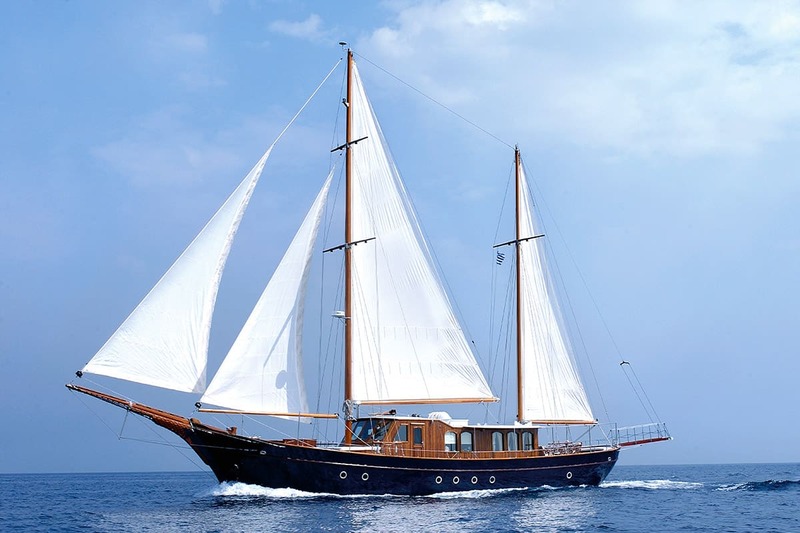 Motor sailing yacht Liana H built in 2004 Syros, Greece is one of the best choices for sailing and exploring Greece. You can explore some of the greatest places in Greece️ like the Sporades, Cyclades, Saronic or Ionian islands. Over the years this stunning motor sailor has gained a reputation for having truly excellent food, according to past clients. Furthermore, she can accommodate up to 10 persons on her 5 well-equipped cabins, while the crew consists of Captain, Chef, 2 Deckhands and Hostess that will pamper you during the cruise. 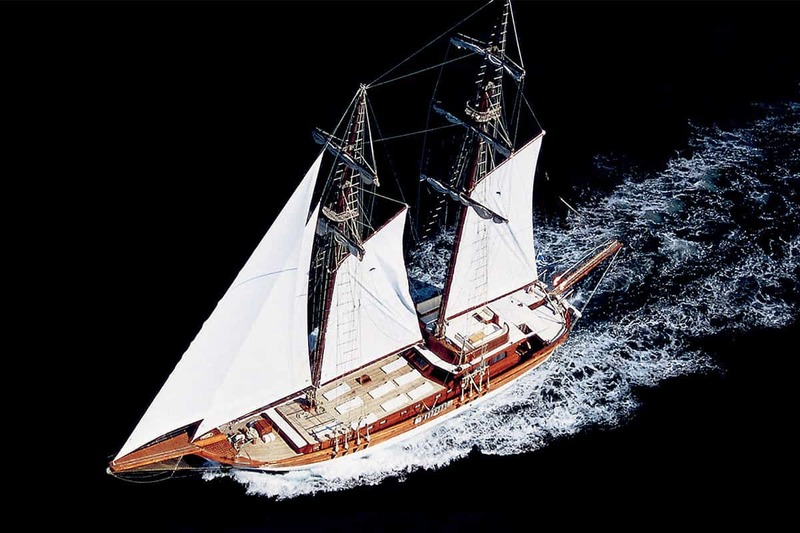 Motor Sailing Yacht Arktos is a newly built traditional wooden schooner made of finest quality materials and wood, designed by masters of Greek craftsmanship. Arktos whose name refers to a Greek bear is a great option for a cruise with excellent service that will be provided by an experienced and professional crew and Captain who will lead your cruise. Interior and exterior provide lots of space for private relaxation and enjoyment in your favorite leisure activities while you sail from one place to the other. There are 5 spacious cabins that provide enough space for your personal belongings and luggage, and motor sailor can accommodate up to 10+1 passengers. Erato is a 30 meters motor-sailer yacht who is a perfect choice for families with young children who worry about safety on board. From the first step on board, you will feel the friendly welcoming ambiance and relaxed atmosphere. You and your kids can enjoy an amazing cruise experience in tasteful decor. 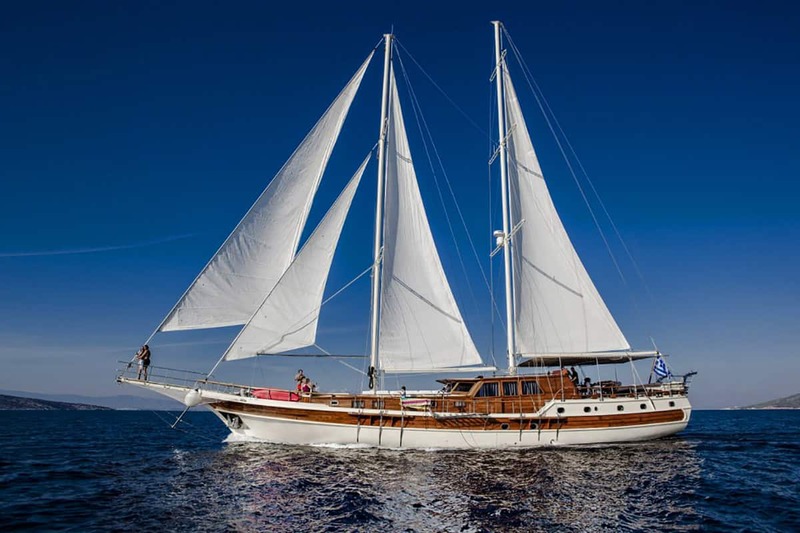 Most importantly gulet Erato is one of the few motor sailors in Greece that can accommodate up to 19 guests! Due to motor sailor size and spacious 7 cabins, there will be more than enough of space for everyone to enjoy in comfortable cruise. Onboard you will also be able to taste traditional Greek food and Mediterranean cuisine prepared by your personal Chef. This food will wake up all your taste buds! 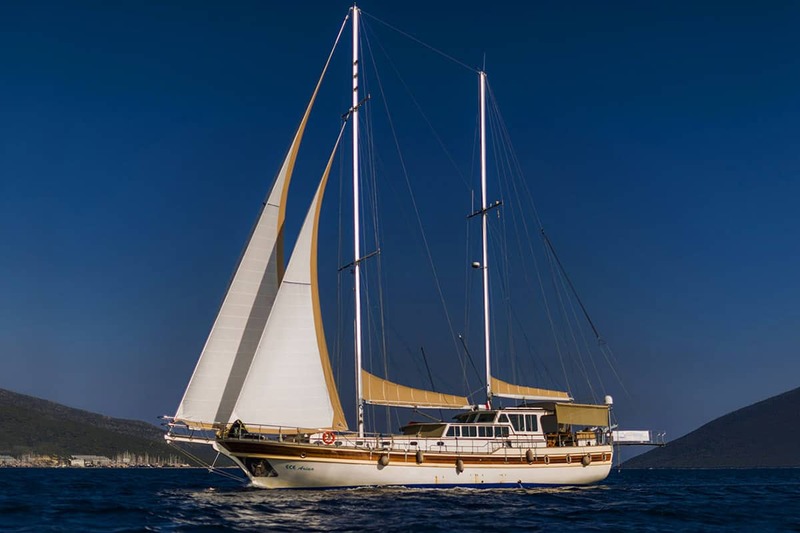 Luxury gulet Ece Arina offers a great gulet cruise experience extra perfect for families who wish to travel with their small children. There is also a convenient option to have a babysitter during the whole cruise so you can truly rest and have a bit time for yourself. The very skilled crew will provide you overall excellent service on board, while Captain will lead you and show you most amazing places from which we would highlight Paxos and AntiPaxos islands of Greece where you can spend your days on the beach relaxing and having fun. Guests can choose from 2 master cabins, 2 twin cabins and 1 single cabin – ideal for children to accommodate. All cabins have private bathrooms and are fully air-conditioned. The foredeck offers you a very comfortable seating area and sun cushions to enjoy the summer sun and wonderful views as you cruise along the coastline.